Der Artikel Edvard Grieg (1843-1907): Peer Gynt op.23 wurde in den Warenkorb gelegt. This original SACD Surround recording follows the semi-staged concert version by Svein Sturla Hungnes presented in Bergen in 2003. Including dialogue from Henrik Ibsen's play, it is performed in Norwegian. The booklet includes the complete libretto in Norwegian and English; notes also in French and German. Detailed Contents. 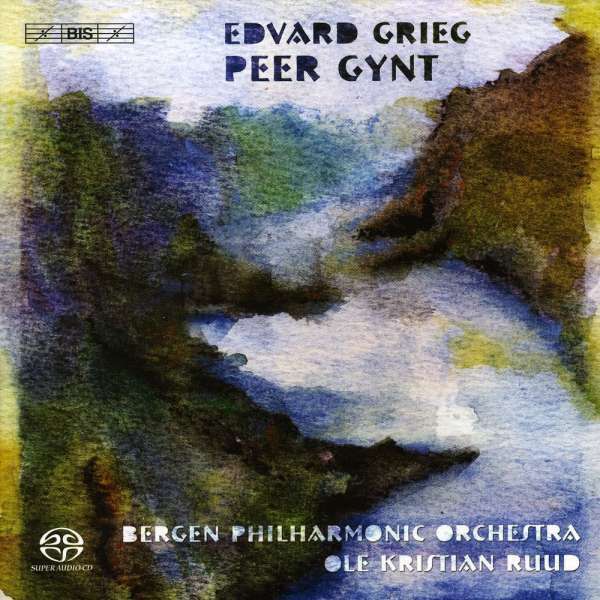 130 years ago, in July 1875, in a letter to playwright Henrik Ibsen, Edvard Grieg announced the completion of his incidental music to the play Peer Gynt. Six months later the première took place, and with it of one of the world’s most widely performed plays was launched. Without belittling Ibsen’s genius, it is a fact that Grieg’s contribution was decisive for Peer Gynt’s immediate success: evocative music helping to transport the audience instantly from an icy fjord to the sands of Egypt, from voluptuous milkmaids at the summer farm to a mountain cave full of troublesome trolls. In the Hall of the Mountain King, Åse’s Death, Solveig’s Song and Morning Mood belong to some of the most beloved of Grieg’s works, either in concerts – in the shape of the two Peer Gynt Suites – or in the theatre. The present production is unique in that it presents Peer Gynt viewed both through the music and through Ibsen's own verbal imagination. Based on a concert version by acclaimed Norwegian actor and director Svein Sturla Hungnes, this recording is in fact a two-hour mini-Peer Gynt, performed by leading Norwegian actors, as well as singers and Grieg’s own Bergen Philharmonic Orchestra conducted by Ole Kristian Ruud – a team which has shown what they are capable of in previous, highly acclaimed instalments of the ongoing series of Grieg’s orchestral music on BIS. Reviewers have remarked upon the superb interpretations and performances, as well as the recordings themselves, which have been described as being “of demonstration quality, both in stereo and SACD multi-channel formats”. Few works cry out for a multi-channel approach in the way that Peer Gynt does, and the Surround Sound version available on these hybrid discs add greatly to the dramatic qualities of the performance, making the trolls’ hunting of Peer Gynt, among many other scenes, into an intensely theatrical moment. Packed in a luxurious box, this release includes a 120-page booklet with a full libretto in Norwegian and English, as well as an essay and a synopsis in four languages. As an added bonus there is a separate, full-colour booklet with photographs from stage performances of Ibsen’s Peer Gynt, from the end of the 19th century until the 2005 production by acclaimed director Robert Wilson, conceived as part of the celebration of the 100th anniversary of Norway’s independence. FonoForum 09 / 05: "Man gewinnt in dieser Version nicht nur einen äußerst kurzweiligen, dramatisch geschärften Eindruck von der sprühenden musikalischen Fantasie Griegs, sondern kann die Vielfalt und den Zauber seiner musikalischen Einfälle nun endlich im Kontext des Handlungsverlaufs bestaunen. Ole Kristian Ruud meistert die präziesen Orchestereinwürfe und -kommentare mit der ganzen dynamischen Wucht seines frischen und gelenkigen Orchesters."